Our park is known for its variety of gastronomic services. If you are looking for a salad, a light meal, a pizza or a hamburger come and eat at our tranquil terraces. 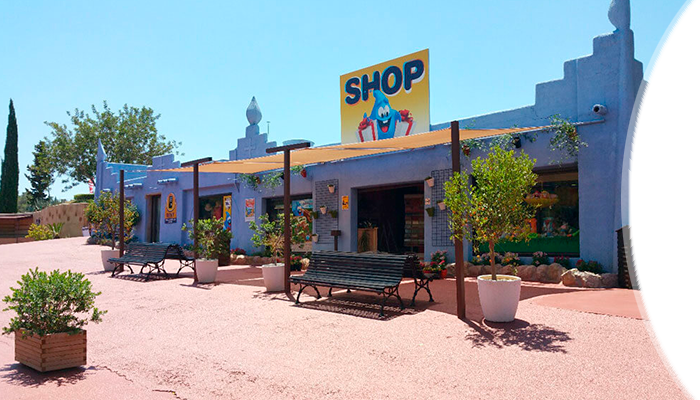 Our shop offers a broad range of water park products such as swimwear, sun creams, towels, armbands, sunglasses, footwear and souvenirs to remember your unforgettable visit to our park.